Teacher Appreciation Week is next week, are you ready?! I absolutely love putting together little gifts for the boys teachers throughout the school year; teachers work so hard, and I really like to let them know that the kids and really appreciate them and all their hard work. 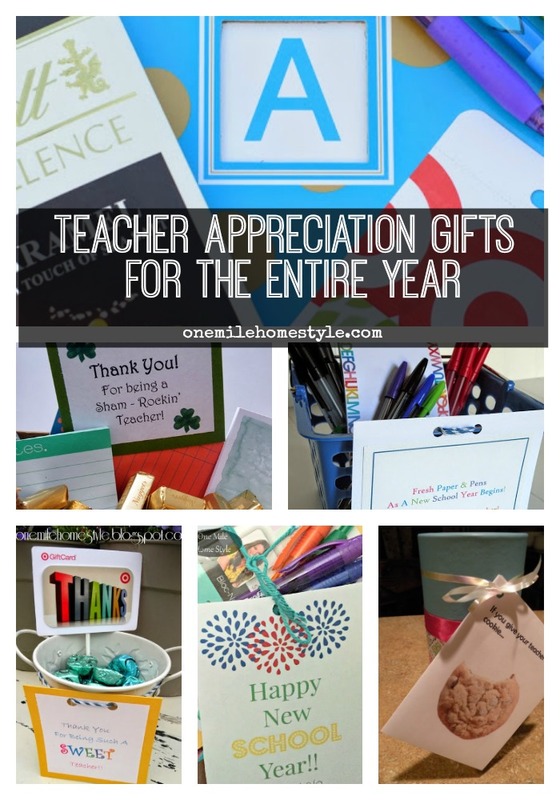 Today is a little round-up of teacher gifts I have done in the past, both for Teacher Appreciation Week and other times during the school year, and some ideas for putting together a gift of your own. On Thursday, I will be back with what we are giving the teachers this year, so be sure to come back! This fun little If you give your teacher a cookie... gift is a play on the If You Give a Mouse a Cookie books, and included a canister of homemade cookies the kids and I made, along with a Target gift card inside the card. You are going to notice a trend here pretty quickly with the giftcards. I like to give the teachers a small gift of some type, but I like to include a gift card too, so they can buy something they want or need. This Sweet Teacher gift was simply a little bucket and a mix of dark chocolates, with a gift card. I tend to keep a little stash of the mini buckets and gift boxes from the dollar spot to use as containers for little gift like this. Another thing I can't resist is notebooks, sticky notes and colored pens. And I have found through the years that teachers appreciate these things too. So I try to pick up fun notebooks or journals, and nice pens to combine into gifts. A personalized notebook and new pens, along with chocolate and a gift card made this an A+ Teacher Gift and was such an easy gift to put together. 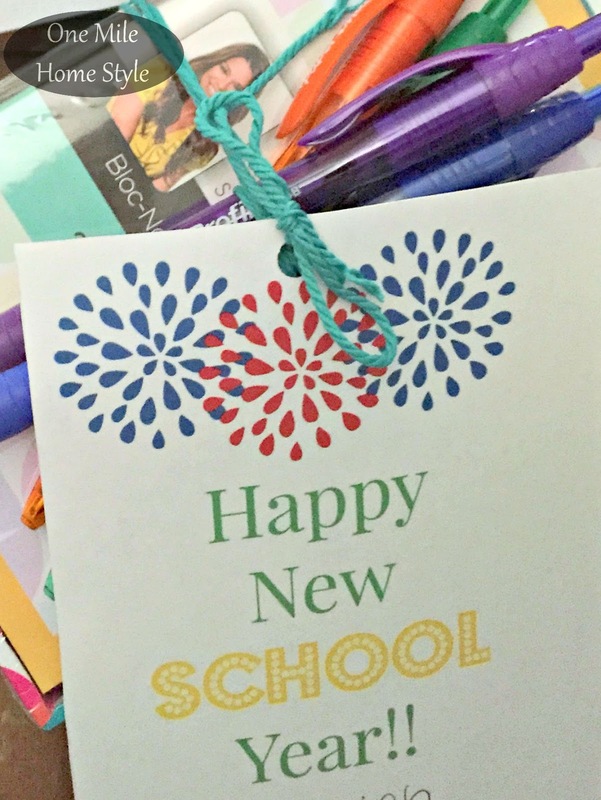 We have also started to bring a first day of school gift to the teachers too. They have all been very excited to get fresh new pens, markers and notepads to start the year. More new paper and pens for a Happy New School Year gift! These were just bundled together with twine, you could easily add them to a small basket or tray. This last one is one of my favorites! One year we did St. Patrick's Day gifts for the teachers using Pot of Gold chocolates and then added lots of fun green post-it notes, along with a fun little Thank You for being a Sham-rockin' teacher note. This year our schools sent out a questionnaire to all the teachers asking them what are some of their favorite things. I think that is such a great idea, then you can get something you know your kid's teacher is sure to love. I can't wait to put together our teacher appreciation gifts this year! 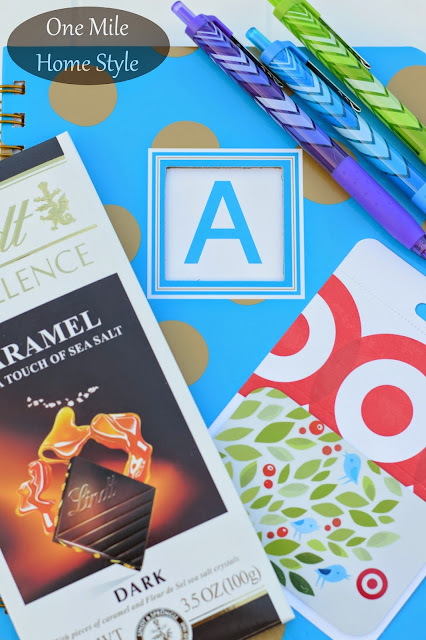 When in doubt though, it seems like you can't go wrong with a little bit a chocolate, a few fun school supplies, and of course a gift card! Wow, this sort of thing wasn't allowed when I was at school...it was considered bribery...especially if cash/gift cards were involved. A shiny apple for teacher was all we were allowed to give and that was only the teachers pets. Is this the norm in North America? Do all kids give teacher gifts?